This year I have reviewed more binos than ever before, many of them have been great, a few excellent and some simply outstanding, which means the competition to win one of my awards has never been greater. Now into it's fourth year, the BBR Awards are a way for me to look back and highlight some of the very best binoculars that I have been lucky enough to test, use and fully review this year. Firstly it is important to keep in mind that for a binocular to have any chance of winning, I had to have fully reviewed it on this site. This means that whilst the pool of contenders may be relatively small when compared to ALL the binoculars on the market, you can be sure that before even being considered they have been very thoroughly tested and used by myself. 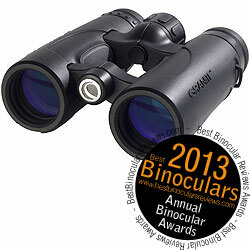 To choose the winners, I look back at all the binoculars that I have reviewed in the year. The ones that really stood out for me and I then go back over each one to see which ones really excelled in specific areas, or for the overall title the ones that performed best in most areas. Whilst price is a factor, what is more important to me is value for money in a particular price bracket. So for example a high end binocular is usually a fairly expensive product, but within this high value price bracket, I look out for ones that offer more for your money than others by their quality of their components and just how well they perform. It is also important to remember that I do not just hand out an award to any binocular because I have a category to fill, they must have really impressed me to win. So if no binocular has really stood out for me in a particular category, there will be no winner in this category for this year and the award will go to the previous years winner. This is why in some categories you get bins winning for more for a few years in a row. 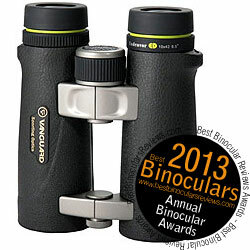 As with all my reviews, these awards are in no way biased towards any binocular or manufacturer, I have given the award because I honestly feel that they deserve it. 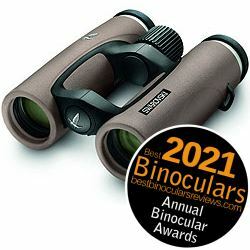 This new version of the Swarovski EL binocular with all it's extremely high end glass and optical coatings that make up their Swarovision label could easily have won or placed highly for many of the individual awards below and so for me it was an obvious choice as the absolute BEST binocular that I reviewed this year. The better the quality of the image, the more you can enjoy all the beauty of the bird that you are observing and these Hawke Sapphire binoculars scored an outstanding 9/10 for image quality which equals some of the very, very best that I have tested. This stunning view is made possible with the use of top spec optical components like ED (extra low dispersion glass) elements in their lenses, fully multi-coated optics, phase correction coatings on the BaK-4 roof prisms. These prisms have also have the very best dielectric prism coatings added to them that increases light transmission even further for a brighter image. As an added protection, Hawke Sport Optics have also applied water repellent coatings to the objective lenses, which not only helps in wet conditions, but also means that water marks are not left behind on the surface. This means they require less rigorous cleaning, which potentially prolongs the perfect view you get through them. A wide field of view is important to may birders as it makes it easier to find and track birds, especially the small faster moving ones! With a field of view of 426 feet wide at a distance of 1000 yards (142m @ 1000m) or 8.1°, these Hawke binoculars once again rank right up there with the very best. Indeed they match last years winner in this category, the Celestron 8x42 Granite, which at the time was the widest I had ever tested. As well as excelling in these three main areas, the Sapphire ED has a beautiful looking and functional top hinge design, which combined with the fully sealed magnesium alloy body makes for a tough, yet lightweight full sized bin that you can be sure will handle any birding situation you find yourself in! 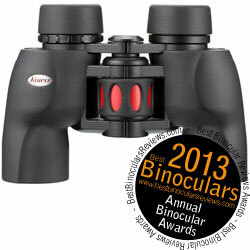 Read my full Review of these Hawke Binoculars. The 8x43 Pentax DCF ED binoculars are currently the companies most advanced model and with all their features and high level performance, it is easy to see why. With an overall score of 9/10 for image quality, these rank up with the best in this department. The amount of color fringing was extremely minimal which is a testament to their aspherical lenses which includes ED glass elements which are specifically designed to counter chromatic aberrations, the cause color fringing. I also thought that their image brightness, especially in low light was excellent. Most bins in this class use 42mm objective lenses, but these Pentax binoculars employ very slightly bigger 43mm lenses. This larger surface area captures more light and with the same 8x magnification produces a larger exit pupil, which really helps in bad light. This combined with their quality glass and coatings on their lenses and prisms produce make a real difference. Image brightness is important in this category because there will often be cases when you are looking for wildlife in sub optimal light, for example in thickly forested areas, at daybreak or late afternoon/evening when a lot of animals become more active. Other reasons I gave the this award to the Pentax 8x43 DCF ED, is that you can trust their lite weight, but very strong magnesium alloy body, that is 100% water and fog proof to handle every little bit of what you can take when you are out in the wilderness with ease. 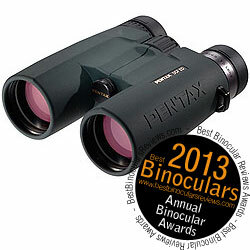 Read the full Review of these Pentax binoculars. They must easily pack away in your luggage and preferably small enough to keep safely in your hand luggage. You need one that is tough enough to take what ever conditions you may find yourself in. They need to also produce a very high quality and bright image, enabling you to really enjoy whatever it is you traveled all this way to see, no matter what time of day or light conditions. This Celestron Granite binocular offers you all that and more. For me the somewhat different 9x magnification is perfect as they offer you just a little more reach than an 8x bin for observing distant wildlife, but still offer a wider field of view compared to most 10x binoculars, enabling you to quickly find and follow animals and in particular birds. In an ideal world, your compact would perform optically as well as your full sized bins. This is of course physically impossible, but I have to say that these Swarovski CL Pocket binoculars come pretty close and I had no hesitation in scoring them a 9/10 for image quality when I reviewed them. To achieve this Swarovski have included many of the very high end optical parts and coatings that they use in their larger models, including Fully Multi-Coated Optics with their Swarobright Coatings, and BaK-4, Phase Coated Roof Prisms. This incredible level of performance is enhanced by the use of high end materials to make a very high quality outer body and other parts like the full metal twist-up eyecups. These along with a full 17mm of eye-relief, (which for a compact is excellent) make the CL Pocket an ideal choice should you wear glasses. Another major highlight is their field of view, which at 357ft @ 1000 yards is once again as good as it gets for an 8x compact binocular. As a roof prism compact, the CL Pocket is already smaller than most porro prisms in this class, but the double hinge design ensures that these also fold up into a very compact shape, so much so that they can easily be slipped into most shirt or trouser pocket and easily carried about wherever you go. 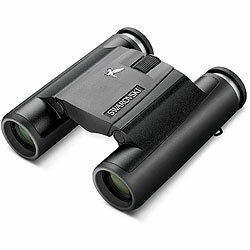 Read full Review - Read my full review of these Compact Swarovski Pocket binoculars. For the second year in a row, I am awarding the best value for money binocular to the 10x42 Vanguard Endeavor ED as I still believe that for their money you are getting a cracking pair of optics. When I reviewed the Endeavor ED 10x42 binoculars, I gave them a score of 85% on the Best Binocular Reviews Ratings scale, which is outstanding. Helping them achieve this overall score was a 9/10 for optical stats, optical components quality and for the quality of build and materials in their body construction. The main highlights for me included the use of ED (Extra low-dispersion) glass, Phase corrected roof prisms made from high quality BaK-4 glass, they are fully multi-coated and have comfortable and weight saving open bridge body that is both fog and waterproof. Also important to mention is that for a 10x42 binocular, they have a really wide field of view. Last year they were available for around $350 / £270 which I thought was great value, now depending on where you get them, they cost about $280 / £260 which is stunning value. 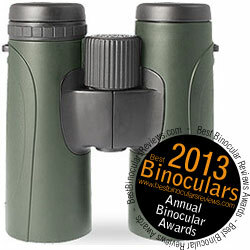 At this price, they comfortably sit within my category of mid priced binoculars, which if you consider the quality of the optical elements, coatings and body construction, it is very impressive and so I had no hesitation in re-awarding them this title. Like the Barr & Stroud Sierra that won in 2010 and 2011, I am going to re-award this Kowa the best low cost or cheap binocular title twice in a row. Not only are the good, but I really did not review what I thought was a better one in this price range this year. The Vanguard Spirit XF 10x42 was it's equal and could easily have won, but even though it only costs around £110 in the UK, in the US it is a little more than the $130 threshold and so I had to rule it out. What really impressed me when I reviewed these is that despite their low cost, they still come with a good amount of great features and impressive specifications. Kowa have partly been able to do this by reducing their costs through simultaneous product development and instead of being made in Japan like the high end Kowa's, the 8x30 YF is manufactured in China. Whilst I have reviewed many good and some great "standard" night vision devices that work using intensifier tubes, taking the collected light energy from the objective lens, converting it into electrons and amplifying and/or multiplying them and then sending them flying onto a phosphor screen that changes them back into visible light for you to see, this Night Owl Optics iGen 20/20 was the first digital night vision product I had used. The first is price, these cost a lot less than the equivalent intensifier tube night vision monocular or binocular, then because they are digital, you can record images or even video of what you are observing onto an external device. You are also able to adjust the light amplification from 300x to 10000x, depending on your needs. The main features include ED elements in the large 82mm objective lens. This extra low dispersion glass improves the view by minimizing chromatic aberrations, which in turn enables the scope to produce an image that is almost free of color fringing. This not only gives you a better view, but if you are using your scope for digiscoping, it helps you take far better photographs. The optics are also fully multi-coated and the roof prism is phase corrected and made from high quality BaK-4 glass. To save weight and improve strength, the main body is constructed from magnesium chassis and it has been sealed and nitrogen charged so is fully fog and waterproof. The two differently geared focus wheels make fine tuning your focus very fast and accurate. 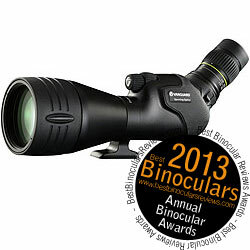 You also get a detachable 20x-60x zoom eyepiece that can be used in a wide range of situations. What is more, the Vanguard brand is known for offering very good value for money and I believe that this high end scope is no different, offering you the same quality of view and components as many far more expensive scopes. I was given some samples of the Carson C6 Lens cleaners to test out and they impressed me so much, they are what I now use to clean the lenses on all my optics. This includes my cameras, scopes and of course my binoculars. Available in a range of different sizes with different shaped cleaning pads they can even be used to clean the screens on your mobile devices. I personally use the Carson C6 CS-10 Lens Cleaner the most (pictured on the right) as it comes with a retractable brush to remove dust and debris before more vigorous cleaning. 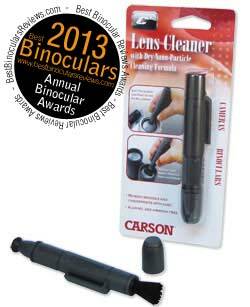 The soft tip on the other side is safe and easy to use on your lenses. 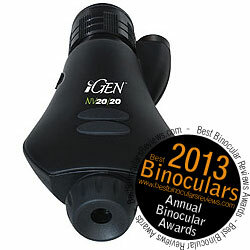 The compact design also makes it easy to fit into most binocular bags or carry cases. For a demonstration, take a look at my page on How to clean the lenses on your binoculars.